Vegan…I’d rather have a high colonic. Who knew that a chef I admire would go rogue. 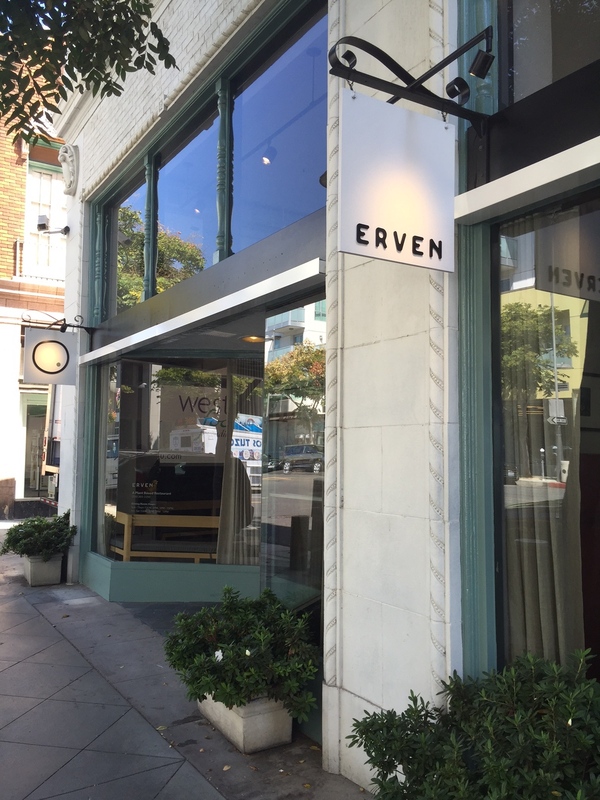 This led me to try Erven, a new vegan restaurant in Santa Monica from chef Nick Erven. I am a fan of Nick’s creative cooking. His first project, Saint Martha’s, located in a strip mall in Koreatown, was fabulous. I then followed him to Fundamental LA in Westwood. Now, he is flying solo again. 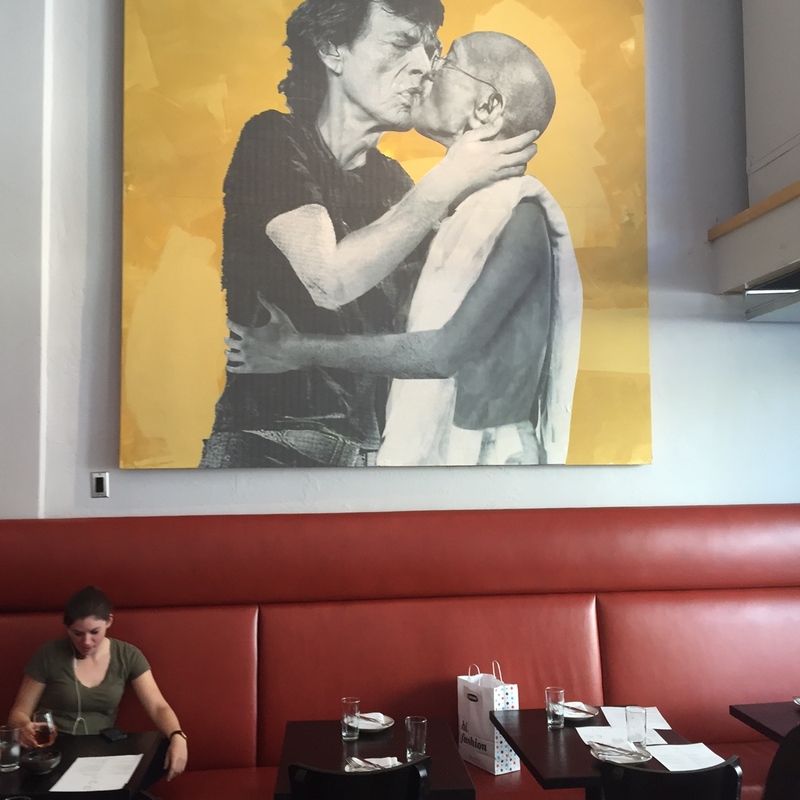 The intimate restaurant is located on Santa Monica Boulevard between 5th and 6th Street…the former home of the popular yet unappetizing RFD (Real Food Daily). Erven is Nick’s ode to the meatless, dairy free life. He is serving an all-day menu that includes breakfast takeaway options, casual lunch fare and full course dinner selections. I had a coupon from Blackboard Eats which offered a 3 course lunch for $15. I was meeting one of my daughter’s bestie’s for a lunchtime gabfest. Kim and I always have a great deal to chat about. Kim, who Courtny met in college, is a diehard Yankee and NY Giants fan, a music addict and a real doll so we have a lot in common. Before getting into it, we needed to make our lunch selections. We decided to start the meal with soup. 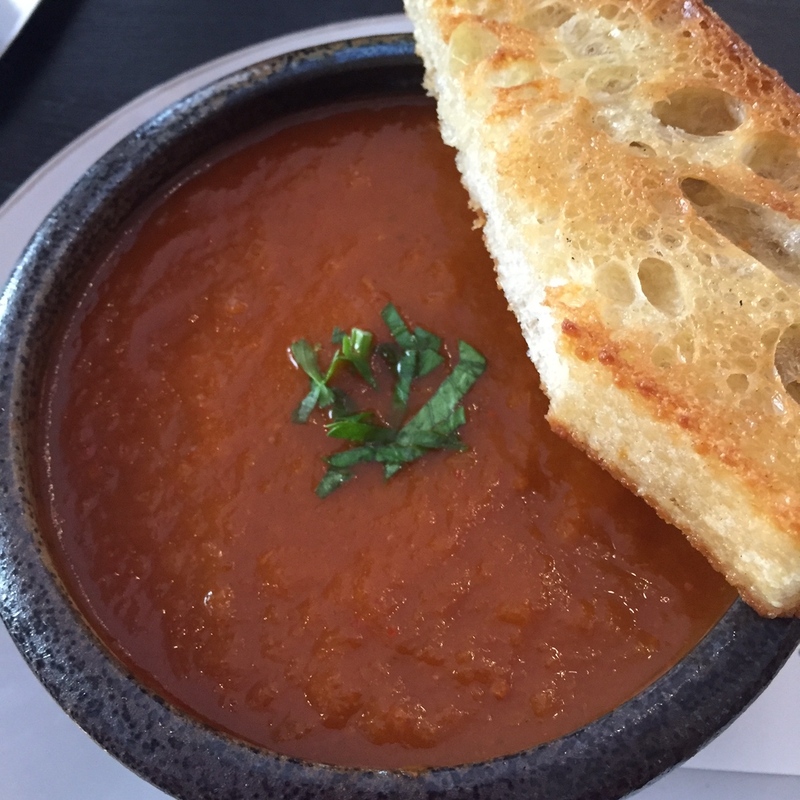 Kim ordered the Tomato-Kimchi soup with griddle bread (cup $3/bowl $6). It was thick and rich with a slight kick. 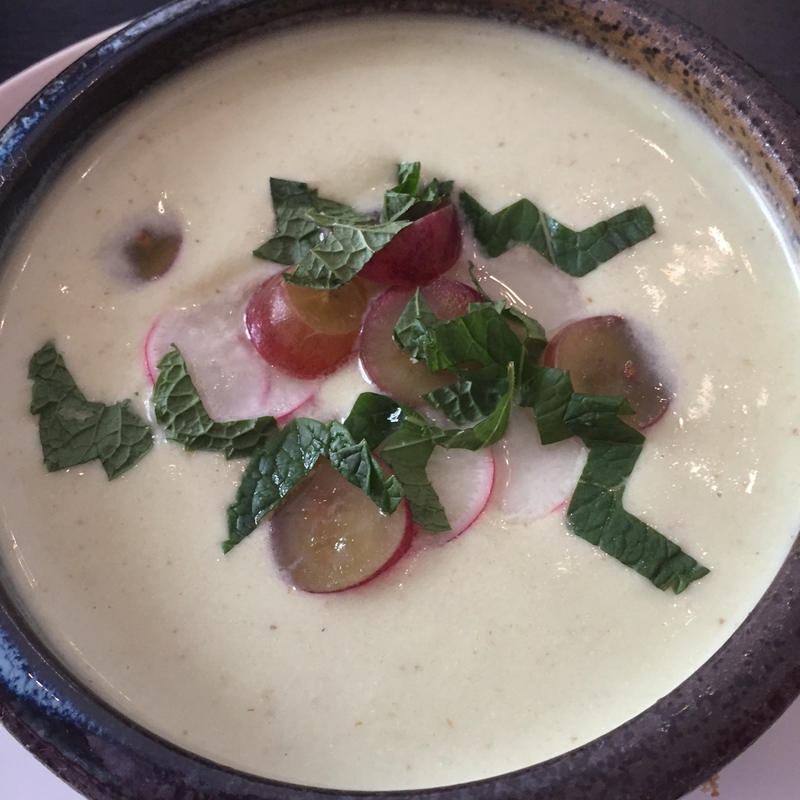 I selected the White Gazpacho with radishes and mint. The surprise ingredient was the addition of grapes. It was delish. 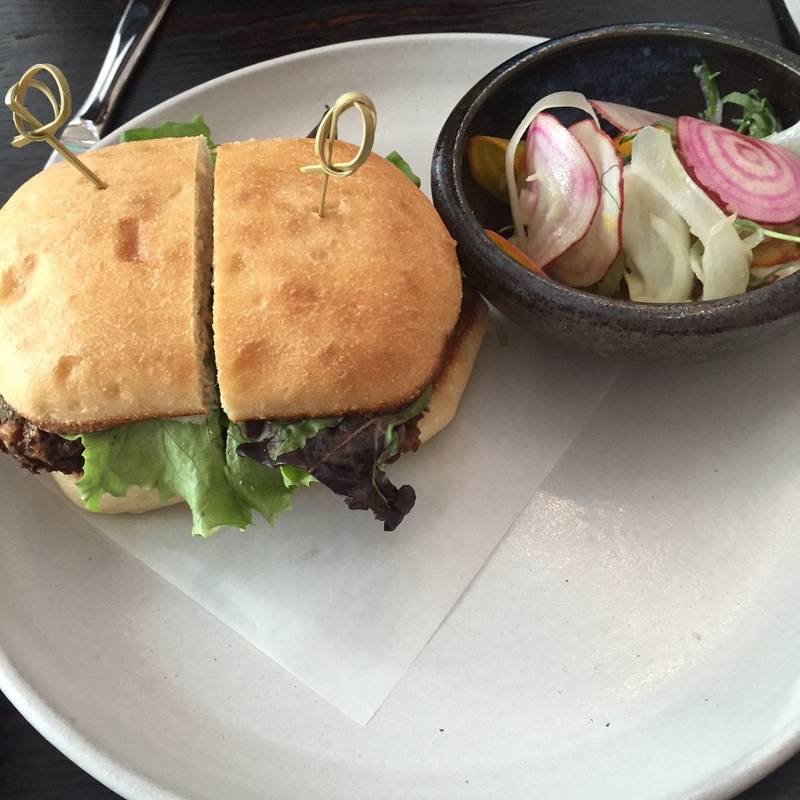 The Falafel with dill, radish and ginger tahini was moist, flavorful and quite tasty ($12). 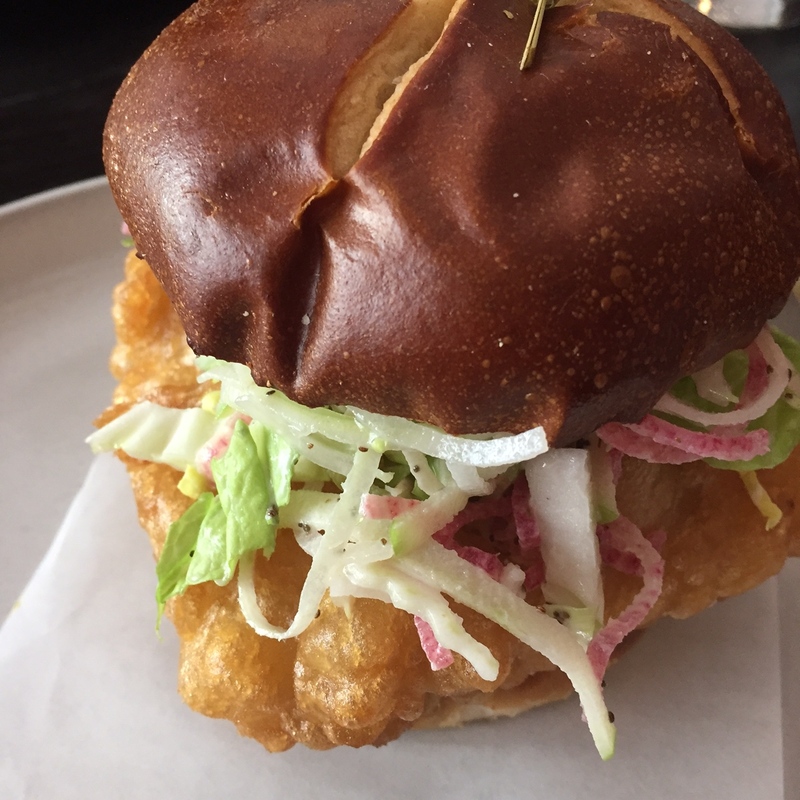 The Beer Battered Tofu was adorned with celery slaw, pickle and machmantal on a lovely pretzel roll. The tofu was light, flaky, appetizing and did not taste like tofu ($12). 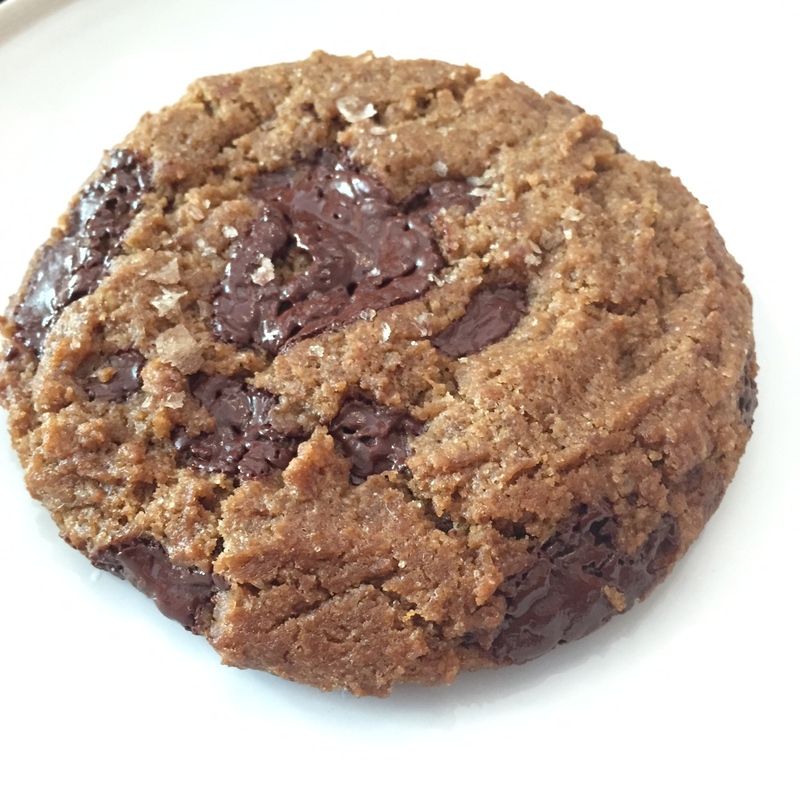 The PB&J Woopie Pie was all gone so we opted for a gooey, moist vegan chocolate chip cookie which could have fooled me it was that good. Our server, Candace was a doll and guided us efficiently through the menu selections. 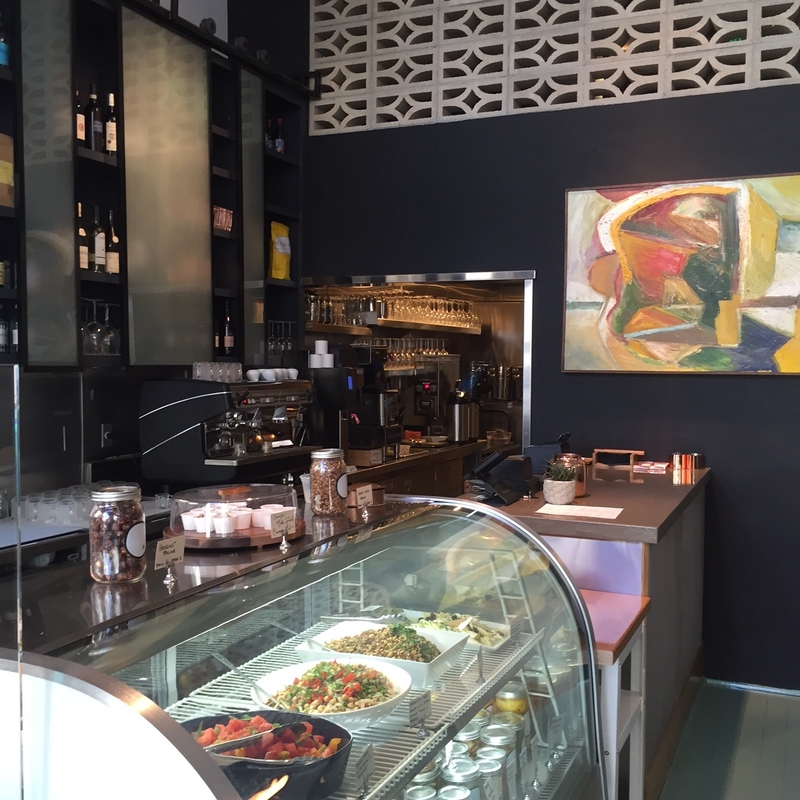 Ervin is a cozy, casual cafe and marketplace for modern, very good American vegan fare. I think it easily outshine other LA vegan restaurants, including the very popular Gracias Madre and Cafe Gratitude, which for me, were the equivalent of eating what was scattered on a barn floor…the outdoor ambiance and margaritas at Gracias Madre are excellent and made the tasteless meal palatable. I still prefer meat, poultry and dairy, but for vegan, Erven is outstanding. Erven 514-516 Santa Monica Boulevard Santa Monica, California. Open daily 11am-3pm, Sunday-Thursday 5-10pm, Friday and Saturday 5-11pm. Reservations on OpenTable.com. Street parking available.